Back in September, Sony claimed to be uninterested in the new Ultrabook market, possibly due to worries of low profit margins due to the target $1000 USD market price. Unfortunately, this pretty much shot down any hope of a Sony Ultrabook in the near future as well. But, according to Tom’s Hardware, the Japanese corporation may have been working on an Ultrabook all along. During an interview on Fox News with Intel CEO Paul Otellini, he was asked directly which companies are expecting to release Ultrabooks by the end of the year. From the top of his head, he began reciting those companies by memory -- one of them being Sony. By early next year, HP (who may still be planning to jettison their notebook hardware division) and Dell will supposedly be joining in on the bandwagon with their own respective offerings at possibly even more attractive price points as the year matures. No other details were given on the supposed Sony Ultrabook, but we imagine that it may be something similar to the expensive VAIO Z or VAIO X series. It’s latest VAIO Z notebook, for example, definitely carries the size and specs to be qualified as an Ultrabook, but launched for almost $2000 USD. 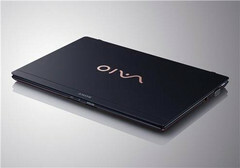 Still, if Otellini is correct, we should be seeing an official Sony Ultrabook announcement within the coming weeks. We’ll be keeping our eyes peeled for any potential leaks leading up to the possible press release. In the meantime, check out the source interview here for more information.